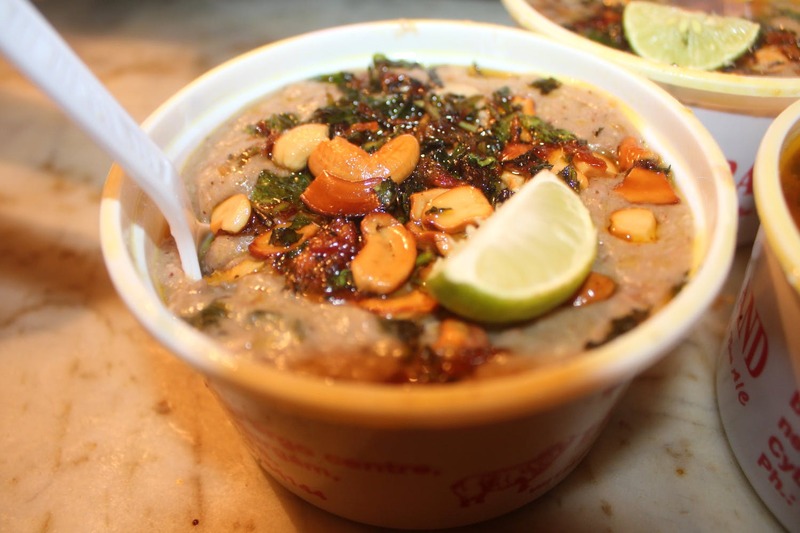 The holy month of Ramzan is synonymous with haleem hunt in Kolkata. When meat is cooked with wheat, barley and lentils it takes the form of a blessing- haleem. This time, try one of these unique versions with a twist. A switch from the traditional haleem, the Hyderabari Haleem at Afza tastes much like a thick broth. What sets it apart? Curd is used instead of dal. Boneless mutton or chicken pieces are added after they are ground to a paste. Afza is one of the very few places where you can sit and enjoy your bowl of haleem. One of the oldest places in Kolkata serving beef haleem, the recipes used for making the beef haleem in Aminia dates back more than 90 years and is a family secret! Wondering why is it special? It comes with a topping of brain kofta and beef tongue.The handis in which this special haleem is made can hold over 100kgs of meat and are only used during the month of Ramzan. Minced meat lovers are sure to fall for the Afghani haleem at Shiraz. Mutton kofta comes soaked in conventional dal, wheat and spices gravy. Make sure to go and get your helping at the earliest as they run out of it very soon. Making your way to Sufia in the midst of all the chaos of Zakaria Street can be a task, but you wouldn’t complain once you’ve tasted the dishes at this tiny eatery famous for its nihari breakfast. Not one of the most popular haleem options, but if you are up for experimenting you better not miss their magaz haleem made with beef brain in a creamy gravy. You can rest assure that a beef haleem can’t go wrong especially if it’s coming from the kitchen of Nawab Wajid Ali Shah’s great great granddaughter – Manzilat. Though she began as a home cook a couple of years back, and gained popularity for her biryanis and kebabs, this is the first time that Manzilat has introduced beef haleem. It’s available at their Kasba Industrial Estate joint and there’s a special counter set up at Shim Shim. The haleem takeaway counters start 2 or 3pm onwards depending on the restaurants and are available till they sell out, which is usually latest by 7pm. It’s a good idea to go early so that you don’t miss out on your share. They will be available till the day before Eid, so there’s about a month’s time to make the most of this season’s special delicacy. Order online if you don’t want to risk missing out.